25 March 2019 | Italy, Fraternity, Association "Mondo Nuovo"
Manfredonia, Italy. 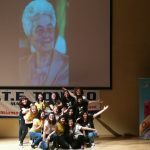 The tenth edition of the award “Chiara Lubich: Manfredonia, a town for universal brotherhood”, organized by the Association “Mondo Nuovo” and the Technical and Economic Institute “G. Toniolo,” visits the Gen School of Loppiano for the specific brotherhood project “Friendly T-shirt”. Now in its tenth edition, the award “Chiara Lubich: Manfredonia, a town for universal brotherhood” is promoted by the association “Mondo Nuovo” and the Technical and Economic Institute “G. Toniolo”. Each year, the Award is given to persons or associations that have stood out in living and spreading universal brotherhood at the local, national, or international level. The aim of the award is to highlight the positive social, cultural, and economic impact that the experience of brotherhood has at all levels. The title of this year’s event was “Prophetic economy – economy for people”. 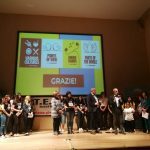 The winners of the 2019 edition included the “Friendly T-shirt” project by the Girls’ Gen School of Loppiano, which we also talked about just a few months ago. The project, created and promoted by the girls who have attended or are attending the school, allows us to help other young people from the poorest countries in the world, or from families in serious financial difficulties, to experience the Gen School of Loppiano, and to be trained in the values of peace and brotherhood. But what is a Gen School? 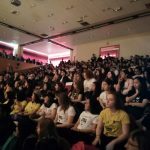 “The Girls’ Gen School is a training centre for girls aged 18 to 30 from different countries, and who belong to the Focolare Movement, – explains Olivia, who comes from Poland – the training course lasts 10 months with opportunities to study together, workshops, life experiences, and practical workshops. Over these months, we have received a global training both from a human and spiritual point of view, aimed at living and spreading the ideal of universal unity and brotherhood”. It is in a context like this that the project “A good gift, a friendly T-shirt” came about three years ago. Nora goes on: “It was started by the 35 youths of 2016-2017 Gen School, to promote the values of universal brotherhood. After receiving a donation for this project, we worked together to create the content and graphics for the T-Shirts. 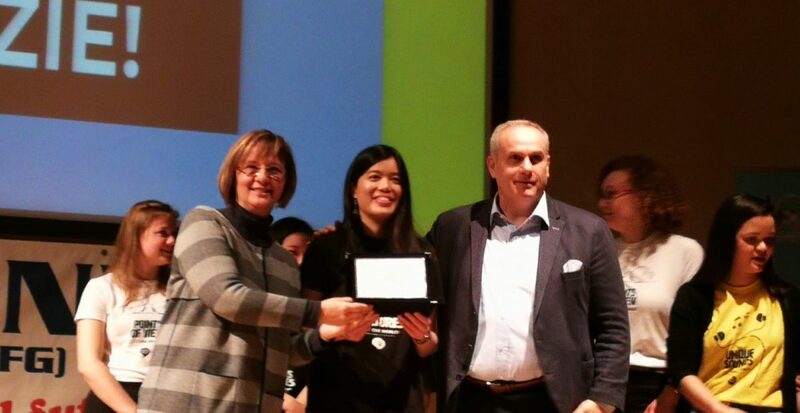 The result is a product of lively dialogue and collaboration among young people from 22 different countries. The T-Shirt’s motto “Just One World“, “#Loppianoexperience”, was specifically created to promote our belief that a united world is possible”. 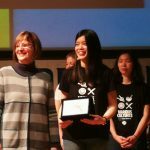 They received the award from Stefano Cardinali, president of the Association “A Town for Brotherhood” together with Pasquale Boccia, former mayor of Rocca di Papa, who introduced himself as “Chiara’s mayor”, namely Chiara Lubich’s mayor. During the event the following bodies were also awarded: three Italian firms (“Artesanal Factory “Solid Ale Beer”, the Social Cooperative “Progetto Germano”, and “Economia del Mare”) inspired by the idea of a prophetic economy; the University Institute “Sofia”; Benedetto Gui, Professor Emeritus of Economics; Andrea Miggiano, Captain of the Carabinieri (former commander of the Manfredonia Carabinieri Corps); and Nicola Latinista, Frigate Captain (former Commander of the Port of Manfredonia).